Whether you’ve worked in dementia care for decades, are looking to make a career change, or an emerging professional, AFA’s educational workshops will help you to develop the expertise and skills needed to be the best dementia care partner you can be. During the workshops, AFA facilitators utilize case studies, role play, and experiential activities to ensure full understanding of content. 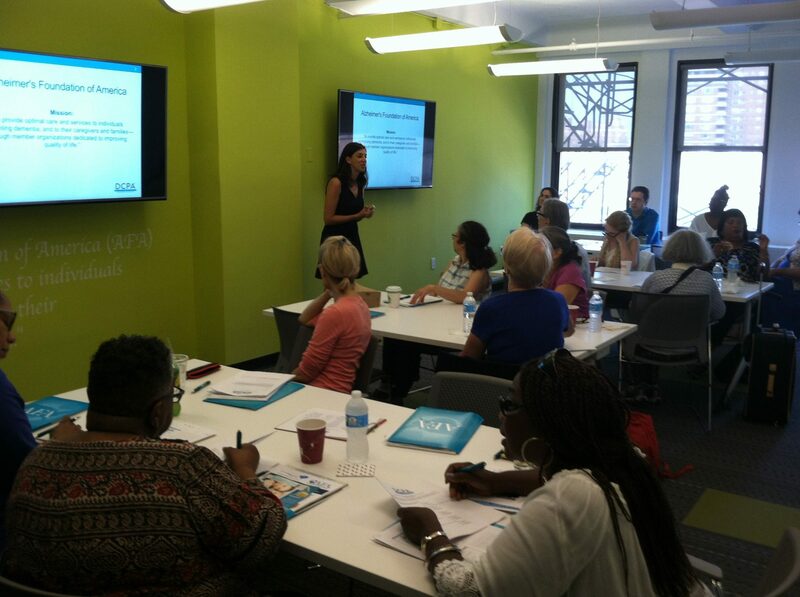 Workshops can be customized to meet the training and educational needs of your organization or care team. Workshops are ideal for professional schools (e.g., nursing, social work), hospitals, home care agencies, residential care facilities, retail stores and a variety of other settings. Want to host a training? Reach out to learn more. Learn from the comfort of your home. AFA’s Care Connection Webinar Series is free and held on the 2nd Thursday of each month. See schedule here. Not in New York City? We are happy to come to you! Whether traveling to your site or providing a virtual training or webinar, we can’t wait to help. Let’s start the conversation now, feel free to email or call our offices at 866-232-8484. AFA encourages participants to make every effort to attend paid events for which they have registered. All refunds for paid educational programming, including training and workshops, are subject to a $30.00 administrative processing fee. Refunds will not be given for no-shows.